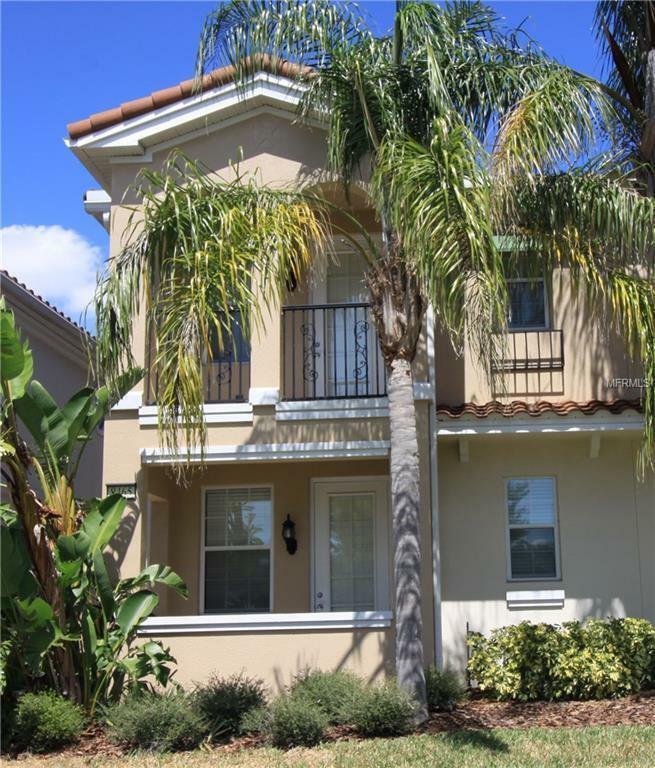 Spacious 3 bedrooms 3 bathrooms, 2 story Mediterranean style townhouse located in the beautiful Villagewalk subdivision in Lake Nona.!! Maintenance free resort style, the community offers gated and guarded entry.This beautiful townhome is perfect for first time home buyer, investor or even better for a second home. Two master suites(one of the master bedroom has Balcony) upstairs and a 3rd bedroom suite downstairs. All of the bedrooms have walk-in closets, lots of storage space. The laundry room with washer and dryer is located upstairs for your convenience. The gourmet kitchen has granite countertops and stainless steel appliances.Right across from the Home, there is a Town Center clubhouse conveniently located in the community where residents can enjoy world-class amenities in abundance. The amenities include a fitness center with various equipment, library, business center, catering kitchen and ballroom for social functions and events. Outdoors, residents of VillageWalk can enjoy playing on the basketball court, and tennis court. VillageWalk also has its own salon, deli, market, gas station, pet boutique and day spa which are all conveniently located right down the street.You will be just minutes away from Lake Nona's Medical City, USTA Tennis Campus, easy access to 417 and 528 Beach Line and more!